An Oakland car mechanic, who on Dec. 4 credited his dog with saving his life during a dispute about a parking space, was shot dead Friday. 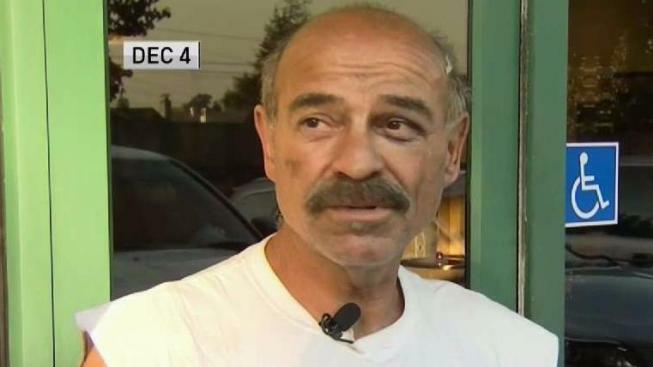 A car mechanic, who on Dec. 4 credited his dog with saving his life during a dispute about an Oakland parking space, was shot dead Friday. Jimmy Martinez, 54, had relocated his RV — in which he lived with his pup, Chata — to 600 block of 8th Avenue, according to the East Bay Times. That's where he was killed around 9:30 p.m. when he emerged from the vehicle to fill some water jugs, the newspaper reported. Chata had been left inside the RV. Martinez got into an altercation with someone, police told the East Bay Times. He was pronounced dead at the scene, but the alleged killer got away before officers arrived. Investigators are looking at the Dec. 4 shooting, the newspaper said, to determine if there are any connections between the two crimes. So far, no suspects have been named in either case. A mechanic who was shot Monday over a dispute about an East Oakland parking space says his dog saved his life. Scott Budman reports. 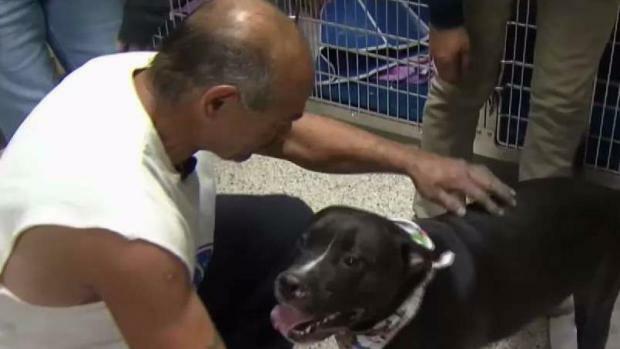 Martinez and Chata, a 4-year-old pit bull mix, first made headlines earlier this month after being attacked by someone who ordered Martinez to move his RV, according to a statement by the nonprofit People, Animals, Love and Support East Bay (PALS). An argument occurred on the 4700 block of E. 12th Street around 12 p.m., police said. The man pistol whipped Martinez in the head and then opened fire, striking Martinez in the hand, police said. Hearing the commotion, Chata bolted out of the RV, only to be shot twice in the face, PALS East Bay said. The man then fled. Martinez was taken to a hospital and was in stable condition. PALS East Bay said two bullets entered the dog’s mouth and exited her body through her jaw and neck respectively. Although Chata was stable after having undergone emergency surgery, bullet fragments had been left behind. They needed to be taken out so Chata’s wounds could be treated, the nonprofit pet assistance group said. A GoFundMe fundraiser helped collect $8,500 for Chata's medical treatment after the Dec. 4 shooting. On Friday, Chata was given to Martinez's relatives. The East Bay Times reported that she seemed calm. PALS East Bay hopes someone will offer to adopt Chata and people interested in doing so can send an email to palseastbay@gmail.com. Martinez's death marks Oakland's 74th homicide. At this time last year, the police department had investigated 82 homicides, the East Bay Times said. Oakland mechanic Jimmy Martinez was shot in the hand Monday by a man who demanded that he move his RV from where it was parked.